Posted On October 19, 2014 by Team iCynosure. It was a beautiful time, my first Diwali as a Mrs.
All the way from my hometown in Mumbai, I was in London; the most beautiful city in the world, the most gorgeous. I can still recollect the things I wanted to do. 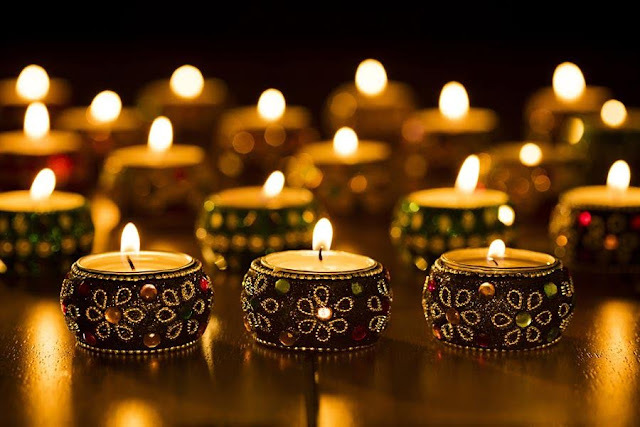 Light up the house with diyas, burst crackers with my husband, stir up a delicious spread of dishes, exchange gifts and play cards to open an account in the Swiss Bank. Unfortunately, it all turned out to be only a dream; only because we were just the two of us in a city full of acquaintances and strangers. We headed to office as we were toiling away for a British company. Closing my eyes I could recollect my days in Mumbai, the streets lined with lights and the night sky glowing with fireworks. The whole Indian nation on a festive holiday of lights, with women busy creating masterpieces of rangoli on the doorstep, to men gathering together discussing life and love to children playing in the courtyard and creating havoc. It was a mixed feeling as we had opted to spend time together as a couple and not take the annual holiday to come visit our families in India for the Indian New Year celebrations. We wanted to experience the western culture and celebrate the victory of the good over the evil in a different environment. But little did we know what was in store for us and little did we realize that only a #GharWaliDiwali is what fills our lives with happiness and our hearts with elation. But fret we didn’t. We did whatever little we could. We called in for leave and headed back home. I set the kitchen in motion and in a few hours I had packed in a punch with quite a spread of dishes. Hubby dearest in the meanwhile evolved his artistic talent and made some gorgeous lanterns from pages of my favourite magazine. Together we decorated our little house with paper lanterns, electric lights and candles. I wanted to add the basic Indian touch and so I sat down to draw a beautiful rangoli on paper with crayons and sketch pens. Next, we did something most unexpected in the capital of England. We walked up to our neighbours and invited them to our house for dinner to celebrate Diwali. We didn’t even know that our neighbours were Sri Lankans who had ancestral roots in the south of India. They happily agreed to come and we felt wonderful. We performed the Lakshmi puja early that evening and settled in to welcome our guests. The Singhe’s arrived with their little baby; carrying two small bags. They handed over both the bags to my husband and thanked us for inviting them over. During the course of our low-key party, we found a family far away from our home. In wanting to experience a new culture, we became ambassadors of our culture in a new environment. Though we had a great time with our new friends; one thing we vowed to do was enjoy Diwali the festival of lights with one thing that really matters, our families. And since then our Diwalis have always been #GharWaliDiwali.